This "Historically Speaking" column was published in the Exeter News-Letter on Friday, December 7, 2018. When Exeter’s first real theater, the Exeter Opera House, opened its doors in 1887, there was great public excitement. Up until that time, entertainment was limited to local productions (often church or school presentations), the annual cattle show or perhaps the occasional traveling circus. The Opera House provided a venue for more upscale shows. It opened with a production by the Charles L. Andres’ Minuet Carnival Company of Jules Verne’s Michael Strogoff. Most often, the Opera House featured a variety of acts pulled together in one show. A ticket in February of 1888 would offer “Burton & Burke’s Minstrels and $10,000 Dog Circus” featuring “the best trick dogs, the three funny clown dogs, dogs that waltz, dogs that turn back somersaults, dogs that sing, dogs that pray, dogs that do everything but talk, and the longest leaping and jumping dogs in the world.” Lest we get judgey, none of these would seem out of place on the internet. One of the more popular acts to come through town was “Professor D.M. Bristol’s Educated Horses.” Bristol seems to have visited Exeter on several occasions, but the best documentation we have is from the 1888 show at the Exeter Opera House. The Opera House was owned and managed by the editor of the Exeter Gazette, J.D.P. Wingate. Wingate advertised his programs heavily in his paper, but he also managed to get some press with his competitor the Exeter News-Letter. Bristol’s trick horse show saturated the area with advertisements, prompting the News-Letter’s editor, John Templeton, to tersely comment, “No other company which has appeared here has been advertised and billed so extensively as Prof. Bristol’s horses.” By this, of course, he meant that the town was papered with posters and littered with handbills, “A Performance positively without a Parallel in this Country. 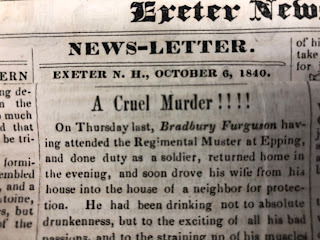 Pure in tone, elevated in Character, Moral and Instructive throughout,” proclaimed one now in the collections of the Exeter Historical Society. By all accounts, the show lived up to expectations. Bristol brought with him 30 animals – 29 horses and a mule – all trained to perform without a bridle or whip. Little Denver, the lone mule in the show, served as the comedian, ringing a hand bell during the ‘horses at school’ skit and riding a swing after nudging the good professor off. 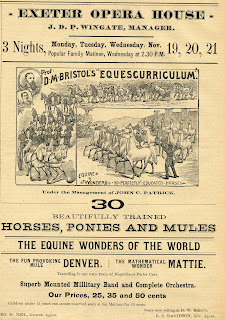 Mattie was billed as the ‘great equine mathematic’ and, who the News-Letter would later relate, “solved all kinds of examples last night and did it in a manner that brought the house down.” If the show wasn’t enough, one could buy a copy of Professor D.M. 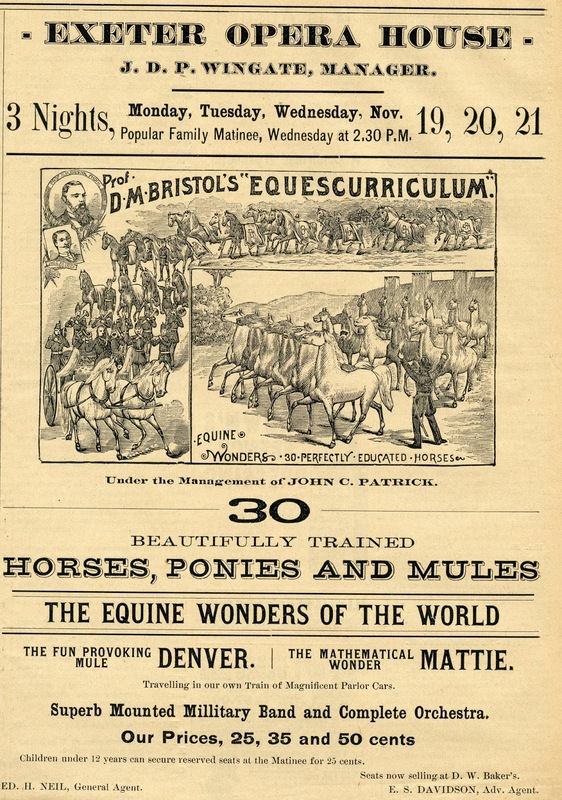 Bristol’s promotional booklet, Equescurriculum, which extolled, but did not explain, the training practices of the author. A more sizeable book called Bristol’s Illustrated Horsemanship could be purchased to explain the details. After each matinee, children were invited onstage to sit on the horses’ backs. Bristol’s wasn’t the only traveling horse show in the country. The word ‘equescurriculum’ had been circulating since the 1860s, so he didn’t invent that either. Horses were common in everyday life – most households had a horse, or had access to a favorite horse-for-hire at the local livery stable. They were considered useful accessories- the same way we think of cars. Unlike our cars, horses had their own personalities and quirks, and there were things that most people assumed horses simply wouldn’t do – like churning butter, carrying warm water in a tea kettle or jumping rope. Bristol seemed like a magician. But who was D.M. Bristol? One of hundreds of traveling showmen, he left very little behind once he left town. His official biography from Equescurriculum – probably self-composed – tells us he hailed from his father’s farm near Flint, Michigan. There he “developed his love for the horse at the early age of 10 years.” He taught his father’s colt to hold a fishing rod while standing in a stream. His father, apparently, had little patience for such activities. He claimed to have invented the Bristol bit, although his name does not appear on the patent. Otherwise, though, his biography isn’t the usual humbug subscribed by most nineteenth century showmen. It takes some digging, but the basic details of his life can be found, and surprisingly, there’s a strong connection to Exeter, New Hampshire. Deloss Bristol was, in fact, born in Flint, Michigan in 1849. 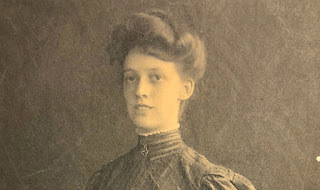 He married Lucinda Wright of Ohio in 1880, and they were living in Battle Creek when the census taker came through. Deloss listed his occupation as “horse trainer.” Three children were born during the years Deloss was touring as ‘Professor Bristol’ – Lottie, Norma and Clifford. He traveled throughout the east during the 1880s and '90s and then settled in Winthrop, Massachusetts. Lucy enrolled the children in school and Deloss gave his occupation as ‘lumber dealer.’ In Winthrop, he served as a town selectman and representative. He joined the Masons, rising to the 32nd degree in both Scottish rite and York. By 1920, when both he and Lucy were turning 70, he began touring again. Lucy’s family had moved from Ohio to North Carolina. The couple was living in a boarding house in North Augusta, South Carolina, when the 1920 census was taken – Deloss was listed as a showman again. But on one fateful trip, Lucy died suddenly of a stroke. Her death was so quick and so transient, that her death certificate states that she died in Greensboro aboard a railroad car at the freight depot. She was buried in the Green Hill Cemetery with other family members. Deloss traveled for a few more years before deciding to move in with his son, Clifford, who had settled in Exeter in the former schoolhouse at the foot of Perkins’ Hill on Kingston Road. He was there only nine days before he died as suddenly as Lucy. He was given a Masonic funeral and is buried in the Exeter Cemetery. Clifford was in the poultry business while he lived in Exeter. We can only speculate whether, during his quiet times, he trained the chickens to perform tricks. The Exeter Opera House was gone by the time Deloss Bristol returned to Exeter in 1926. It had burned in a spectacular fire in 1919. If passing by the Exeter Cemetery in future, give a moment to the memory of one of the nineteenth century showmen who spent long, hard hours traveling to provide small towns – like Exeter – with the occasional thrill. Image: Advertisement from the Exeter Gazette for “Professor D.M. Bristol’s Educated Horses.” One of many traveling shows, Professor Bristol had a surprising connection to Exeter.